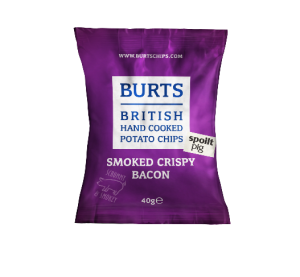 Burts Chips is an award-winning snack brand based in Plymouth which believes in producing potato chips with real taste, proper crunch and made by expert craftsmen, offering a flavour to satisfy every taste bud. Burts Chips has a core range of premium flavours, a selection of ‘Better For You’ snacks and an unique licensed range which includes their award-winning Guinness crisps. Built on the quality of local ingredients, Burts Chips is an artisan brand that prides itself on delivering the best flavours, formats and packaging to meet customer needs, plus we’re proud to have pioneered many firsts in the sector. Central to Burts’ success are the exceptional products that make up our snacks portfolio. All are hand-cooked in small batches by experienced craftsmen who are experts in their field. And most importantly of all Burts snacks are created using locally-sourced ingredients whenever possible, creating a strong working relationship with other artisan producers in the South West but also fulfilling a growing consumer desire to buy every day products with a good provenance. Burts is also using Red Tractor accredited potatoes to ensure we’re farming responsibly. This means we use British potatoes grown as close to our Devon home as possible and other authentic South West ingredients to flavour our crisps and snacks, including British vintage cheddar made from Artisan cheese maker Quicke’s of Devon, chorizo from the Good Game Company in Devon and chillies from the South Devon Chilli Farm. Burts Chips fast growing ‘Better For You’ business makes us stand out from the competition. Lentil Waves come in three tempting flavours – Sour Cream & Chive, Thai Sweet Chilli and Lightly Salted – a variety to suit every taste bud. Big on flavour, these snacks are packed full of crunch and are only 99 calories per bag with 40% less fat than your usual snack. Like everything in the Burts Chips portfolio, they are free from MSG, artificial flavourings, and colourings. Sour Cream & Chive Lentil Waves capture the aromatic explosion of crushed chives with the cool fresh flavour of sour cream, while Thai Sweet Chilli Lentil Waves is packed with the irresistible spicy Asian fusion of chillies, warm ginger and fragrant lemongrass. Or if you’re a fan of keeping it simple, Lightly Salted Lentil Waves are flavoured with just a pinch of salt. Smoked Crispy Bacon is the latest addition to Burts’ core range, making a collaboration with Devon-based producers spoiltpig to capture an authentic taste of bacon. The exciting new recipe is made using only the highest quality ingredients bringing the flavour to life with every crunch. The hand-cooked crisps are carefully crafted as the ideal accompaniment to beer and soft drinks. 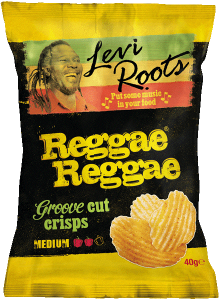 The bestselling product that is driving our success in the vending arena is Levi Roots Reggae Reggae crisps, which has previously won awards at the vendies. The range has a distinctive spicy flavour that is popular amongst consumers who are looking for exotic tastes. 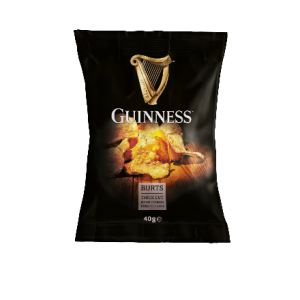 Guinness crisps launched in 2012 with the original Guinness flavour and bolstered by Rich Beef Chilli, the uniquely flavoured crisps have been incredibly popular as they offer customers the chance to enjoy the flavour of a favourite drink in a crisp format. 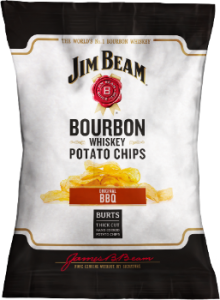 Jim Beam Original BBQ Crisps is the latest addition to Burts’ core range. Created in collaboration with the world’s number one Bourbon brand, Jim Beam, this is an adult snack like no other. Deliciously moreish, the authentic taste of Jim Beam Kentucky Straight Bourbon Whiskey, combined with sweet, smoky BBQ flavours can be enjoyed in every single crisp.